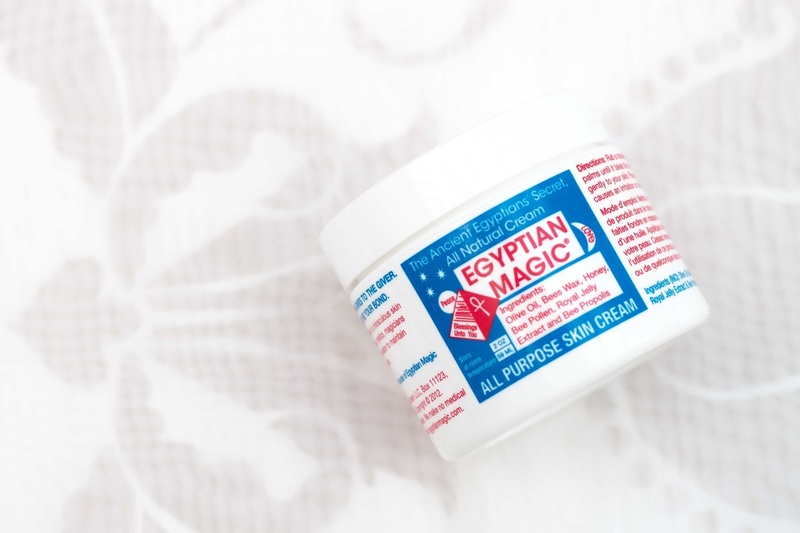 Don’t be misled by the title, this isn’t anything about wizards or Ancient Egyptian sorcerers – but it is a little bit about Egypt, and in particular their patented skin cream that is just, well, magic. 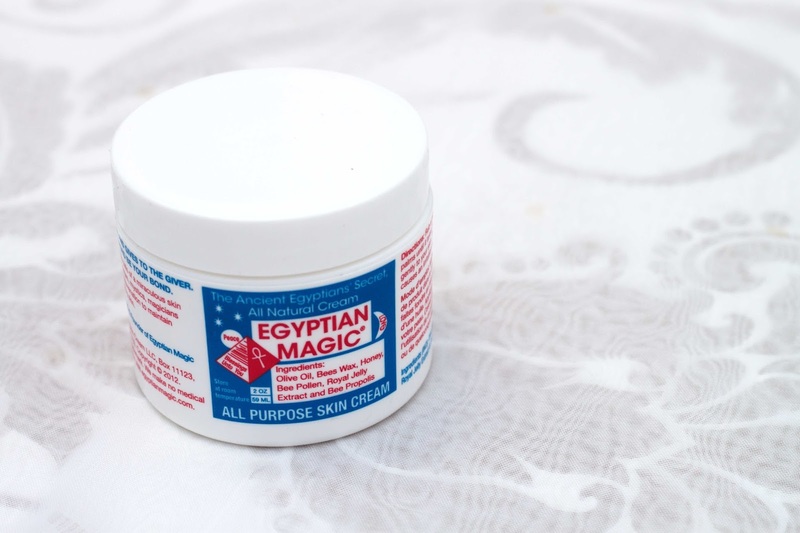 Once in a while, something pops up in your box of samples that actually works, and whilst in the midst of ‘skin gon’crazy’ patch I gave the Egyptian Magic sachet from my recent Space NK haul samples and I have to say that it really is magic. I rarely trust or like to try different types of skincare because I’m scared it will muck my face up for a while and then I have to start from scratch, but if anything, this cream made my skin better – I’m so pleased, I’m sat here typing this whilst flailing my arms in the air mid-sentence to convey how much I love the product. You will have seen me write about the cream before in my 2014 Favourites post (and I gave it the title of Best Moisturiser because of it’s full rounded awesomeness) but with the new year came a need for a full-sized pot to call my own and thanks to some vouchers – the ultimate present to please any beauty lover – I finally got my mitts on a pot. So what makes Egyptian Magic so good? Firstly, it only contains six ingredients which is fantastic as it means all natural and no chemical based irritants to trip you up on applying it your gawjus face. The blend of Olive Oil, Bees Wax, Honey, Bee Pollen, Royal Jelly Extract and Bee Propolis all help to reduce inflamations, fight bacteria, increase skin moisture, increase skin renewal, and also contain key minerals such as zinc, silica and fatty acids to make your skin look and feel plump – just like a baby’s bum but nicer. When I did mention my love of this on twitter a lot of people asked whether it was greasy, did it work, does it cause reactions…the answers are of course IMO not really, yes and no. 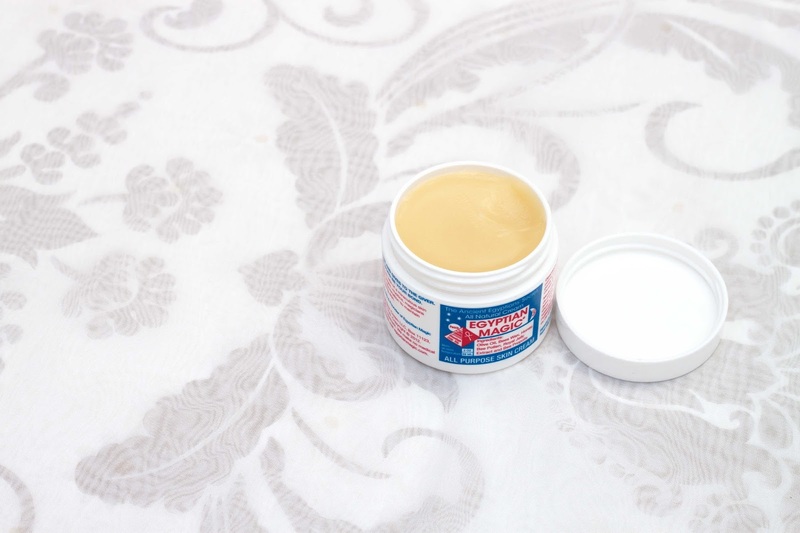 It’s a solid balm which when warm becomes an a slightly oilier substance (not too dissimilar to all the cleansing balms we know and love) that you can moisturise your face with. You only need a ring finger amount which will just about cover your whole face, and it will feel a bit ‘oily’ at first but it sinks in so well that by waking up the next day, all you notice is a fresh, healthy glow. 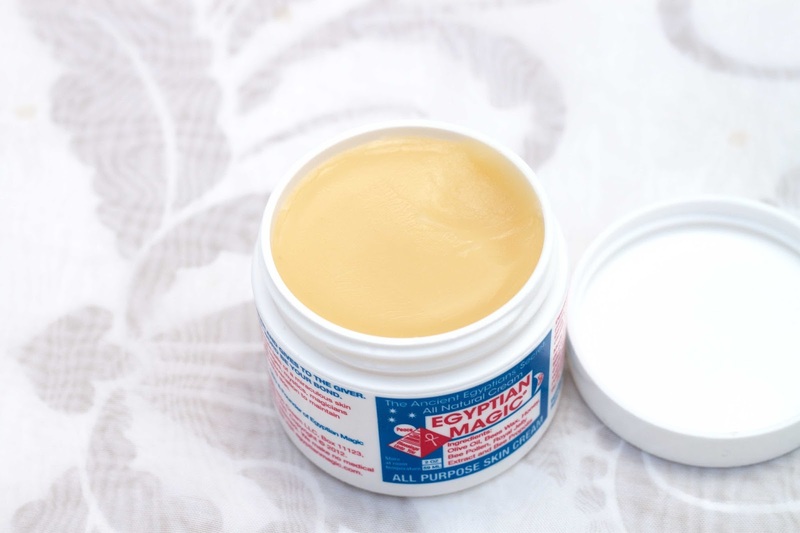 As it only has 6 ingredients, I find it’s very holistic and natural to use and therefore gives my skin a lot of loving – I have oily/combination skin which can be changeable but I think this would be suitable for everyone to use without causing a reaction. Big whoops all round! After using this every day since min-November, I can 100% say that Egyptian Magic is the bee’s knees (if you pardon the pun). The fact that it was sold out online at Space NK just shows how popular the samples were with customers, and for £23 it’s a good bargain against other leading brands as the small amount you need should last you a long while – the 3ml sample lasted me about 2 weeks so 59ml should last you 3 months, look at me doing some maths! Have you heard of Egyptian Magic before? Will you be giving it a go this year? Are you a fan of natural skincare?